By this point in their academic careers, most seniors should be able to rattle off the answers with ease. However, as more states require public schools to implement college and career readiness standards, students will begin thinking through these questions long before they even enroll in high school. In Mississippi, the Columbus Municipal School District (CMSD) recognized that in order to be prepared for challenges of life after high school completion, students need exposure to career fields and college options before students reach their junior and senior years. Through the district’s “Pathway to Graduation” program (an education plan for all K-12 students), the district now introduces careers and university connections in kindergarten. As students progress to middle school, the program requires all students to create a personalized learning path to graduation based on their interests and strengths. The class of 2019 (beginning high school in the fall) will be the first to experience the “Pathway to Graduation” program. Hickman’s district serves approximately 4,600 mostly African American students (89 percent of the total student population.) 61.9 percent of students in the district graduate from high school, but one of Hickman’s goals is to improve that rate. The national graduation rate is 81 percent. To keep students engaged and to keep them in school, the district is working to close the “opportunity gap” for all students by focusing on educating the whole child and connecting what they are learning in school to their lives. They also are adding technology to the classroom. CMSD is the first school district in Mississippi to offer a school choice lottery, allowing parents to choose which of the five elementary magnet schools their children will attend. The district’s magnet schools are organized by professional themes – Fine Arts, Aerospace and Science, Medical Sciences and Wellness, International Studies, and Technology and Communication – and students learn about careers and university connections within the magnet theme. Students produce weekly projects and yearly capstone projects that are captured in an electronic portfolio. For example, a kindergarten student in the Franklin Medical Sciences and Wellness school will learn about doctors and nurses, and by fifth grade this student will study more complex fields like biochemistry. 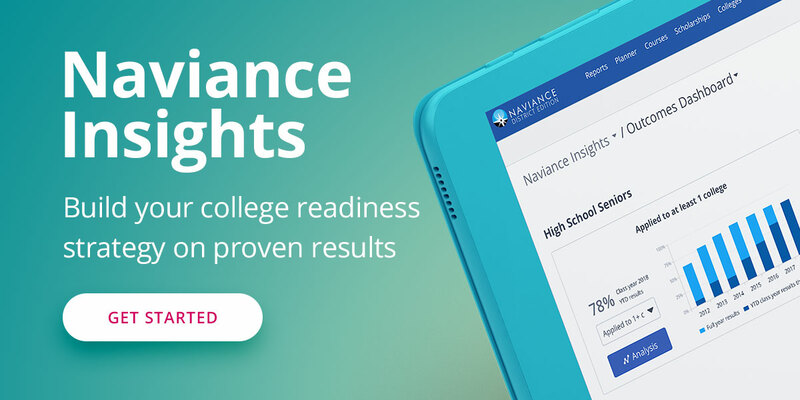 In middle school, students complete a career-interest inventory using Hobsons’ online platform Naviance. Students use the solution to develop a career interest profile and explore career fields and colleges based on their career goals. In seventh and eighth grades, students choose a “Pathway” and select electives specific to their personal career interest. These electives, or “endorsements,” are S.T.E.M., Business & Industry, Arts & Humanities, Public Service, and Multi-Disciplinary. CMSD also engages with local businesses to provide high school students with internships and to bring personnel into the classroom to speak to students. University of Mississippi Medical Center (UMMC) faculty, staff, and students take elementary students on campus tours and create hands on activities focused on the health field. The “Kids 'N College” program with Mississippi University for Women’s College of Education & Human Sciences engages fifth grade students through activities where they can learn about on campus resources. East Mississippi Community College provides high school students with the opportunity to participate in a dual enrollment program. CMSD students will graduate high school with an electronic portfolio containing all the products and capstone projects they have produced since kindergarten. “Their portfolios will be more intricate than someone completing college,” says Dr. Hickman. The district is using the required college and career readiness standards through the pathways program to find an area of focus and get a head start after completing high school.